EditrWP is a WordPress plugin facilitating creation of interactive embeds of the fabulous Editr plugin. EditrWP plugin can be bought at CodeCanyon here. Please use CodeCanyon support forum for any questions / bugs found. a. 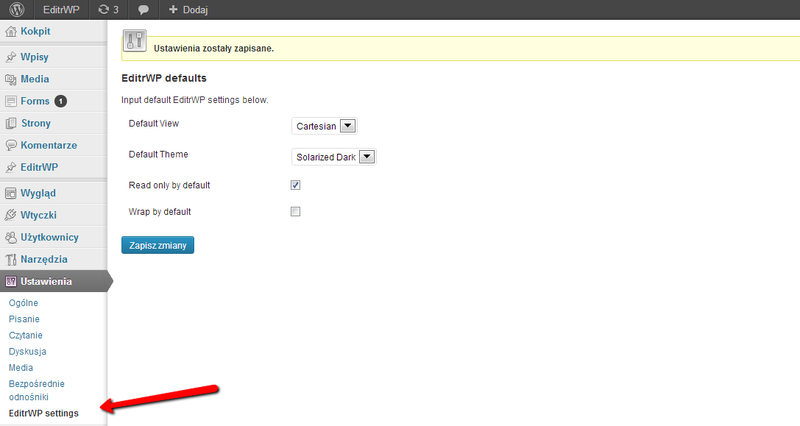 Go to Plugins -> Add New -> Upload and upload the .zip file that you have downloaded. b. Once installed, activate the plugin by clicking Activate. a. Once activated, a left handside EditrWP menu will appear. 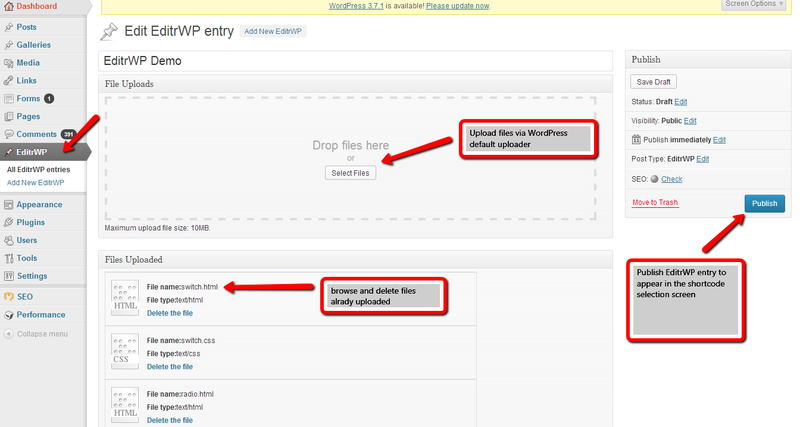 From there on, you can upload any file to the EditrWp that will be later listed on a shortcode. b. 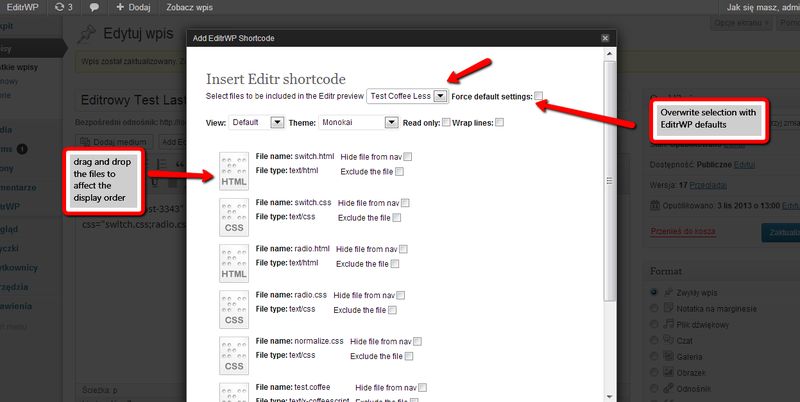 Once added an entry, go to a Post or a Page (Custom Post types are also supported) and click on Add Editr Shortcode. This will let you create Editr entries. c) In case Force default was selected, EditrWP will be embeded in the default state. Defaults can be set in Settings -> EditrWP Settings. 2. EditrWP embed with light theme. 3. EditrWP embed with horizontal view and the data set to readonly. 4. EditrWP embed with vertical view. 5. EditrWP embed with cartesian view.